If you love glitz and glamour, you just have to visit Las Vegas. Offering an electric energy, 24-hour casinos and an abundance of entertainment options, you will fall in love with Sin City’s bright lights along the Strip. If you want to experience the utter splendour of the city, here are the 10 most luxurious hotels in Las Vegas. 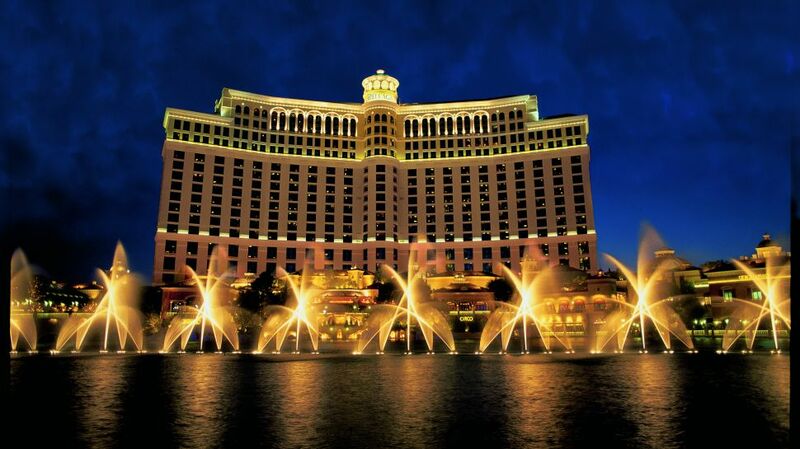 The Bellagio is located in the middle of the Las Vegas strip, offering an impressive 3,933 guest rooms and suites, as well as eight bars and restaurants, seven dining outlets, Cirque de Soleil and a 65,000 square foot salon and spa. It also offers award-winning casinos that feature a range of table games, slots and even World Poker Tour – not to mention a world famous water show at the front of the hotel. High rollers can also head to the private high limit lounge in the hopes of cashing in. You can’t miss it, and you won’t want to, either! 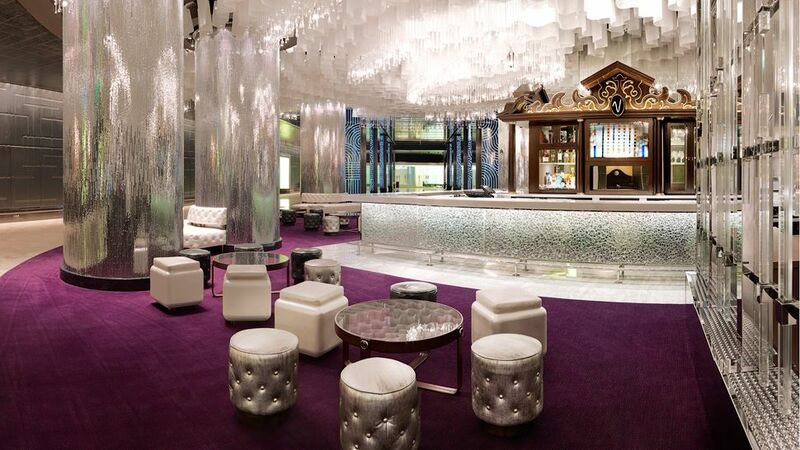 For a Las Vegas hotel stay you’ll remember forever, you have to book the Delano Las Vegas. The all-star boutique hotel is the epitome of luxury, and is located within the 43-story golden tower at the Mandalay Bay Resort Complex. Offering a deluxe, individual style you cannot help but fall head over heels in love with, you will never want to leave this magnificent hotel that features 21 world class restaurants and a 135,000 square foot gaming environment that offers all your favourite casino games. The Red Rock Casino, Resort and Spa has a distinctive style that demands to be experienced. In addition to the resort’s impeccable service, you can enjoy Race and Sports Book, poker, bingo, table games, keno, slots, video poker and Jumbo Jackpot. When not gambling, you can party away in the high energy dance club or catch a performance in one of their lounges. The Cosmopolitan oozed style and sophistication, and offers an incredible 2,995 spacious rooms. Not only that, but it has 100,000 square foot casino full of a range of popular games. In between gambling, head to the Marquee nightclub to shoot some pool, or visit the Chandelier Bar for drinks and socialising. 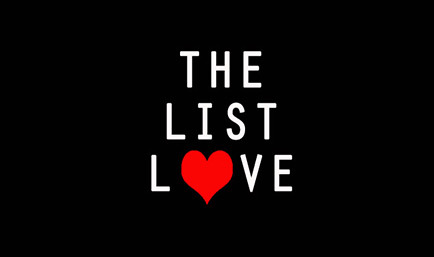 It costs an average of $160 a night for a stay at The Cosmopolitan, but failing that you could just visit top5onlinecasino. Torn between Las Vegas and Venice? Well, you won’t be anymore. 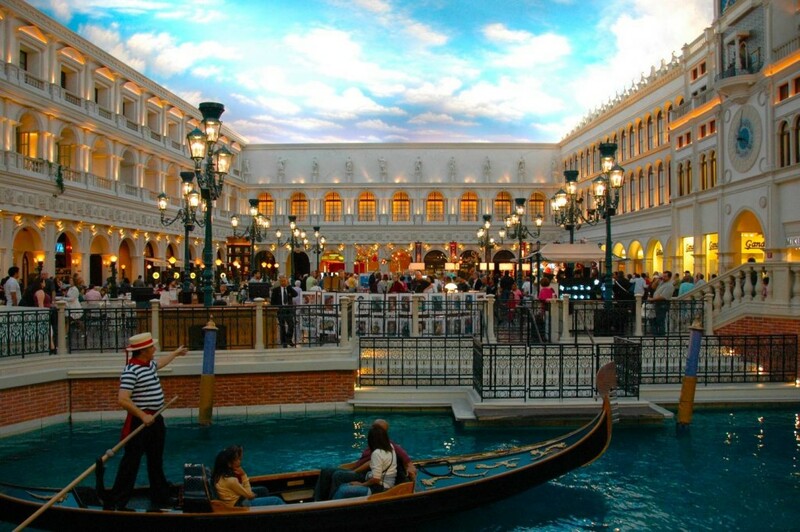 The Venetian-Palazzo in Las Vegas offers the ultimate Venetian experience, as gondoliers will steer you through the waterway, which is a replica of St Mark’s Square. As you make your way along the water, the stroller will sing operatic tunes along the Grand Canal of Shops. In the resort hotel, you’ll find a range of casino games that will provide hours upon hours of entertainment, as well as some of the best shows in the city, such as Jersey Boys, the Blue Man Group and Phantom – The Las Vegas Spectacular. If you love luxury rooms, amazing restaurants and casinos, you will adore the Wynn Encore – which is a twin of sister hotel Wynn. 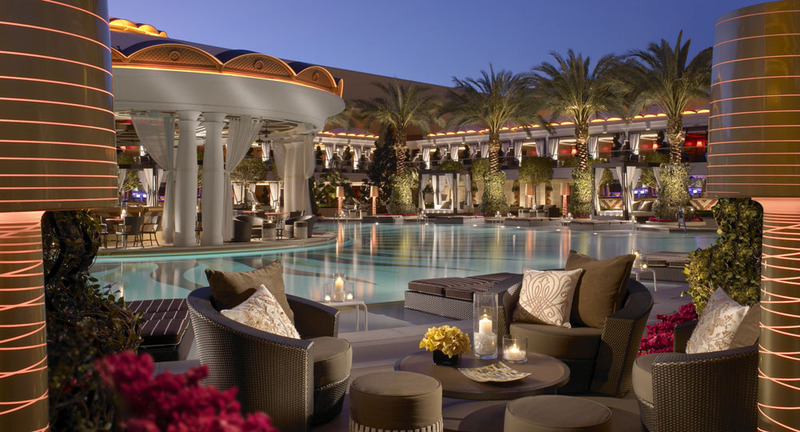 To experience the fun and sunshine of Las Vegas, we recommend the Encore Beach Club at the top of the hotel, offering one of the best pool clubs in Sin City. There’s no better way to spend your time! 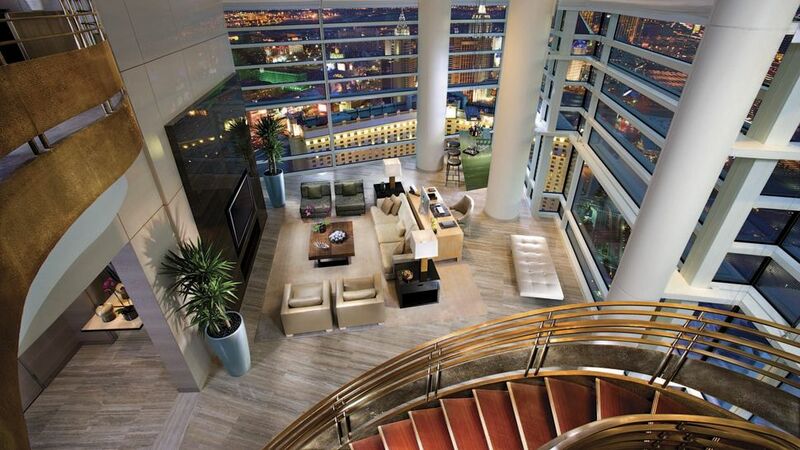 Big players stay at the Aria at CityCenter. If you class yourself as a high roller, this is one destination you won’t want to miss. 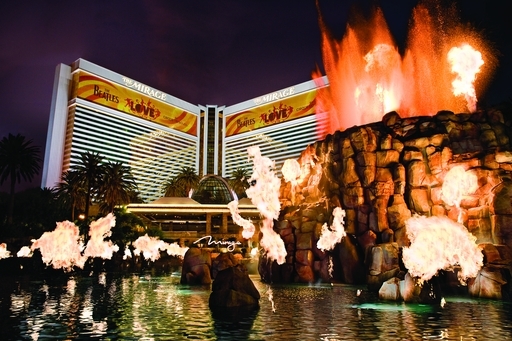 You can stay in one of 4,004 guest rooms, and can even catch the Cirque du Soleil production Viva Elvis. The hotel and casino not only offers a grand design, but includes fantastic water features to delight each guest who walks in the door. There’s also 16 restaurants within the hotel, which are commanded by famous chefs Michael Mina and Masayoshi Takayama. 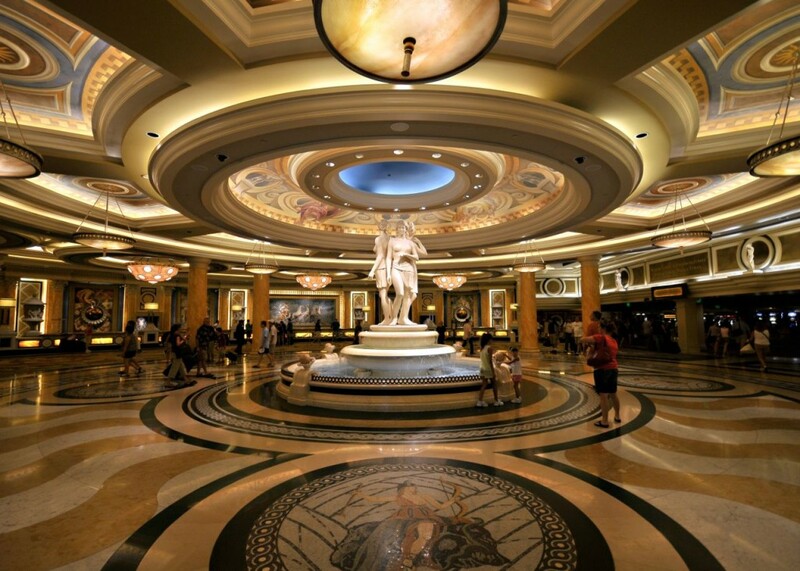 Caesars Palace is quite possibly one of the most famous hotels in Las Vegas, and for good reason! Opening in 1966, it is regarded as one of the last haunts of the Rat Pack, as well as some of the best prize-fights in boxing history. Not only will you be spoilt for options with the sheer amount of casino games on offer, but you can also catch a performance by an international superstar, such as Celine Dion, Rod Stewart and Elton John. 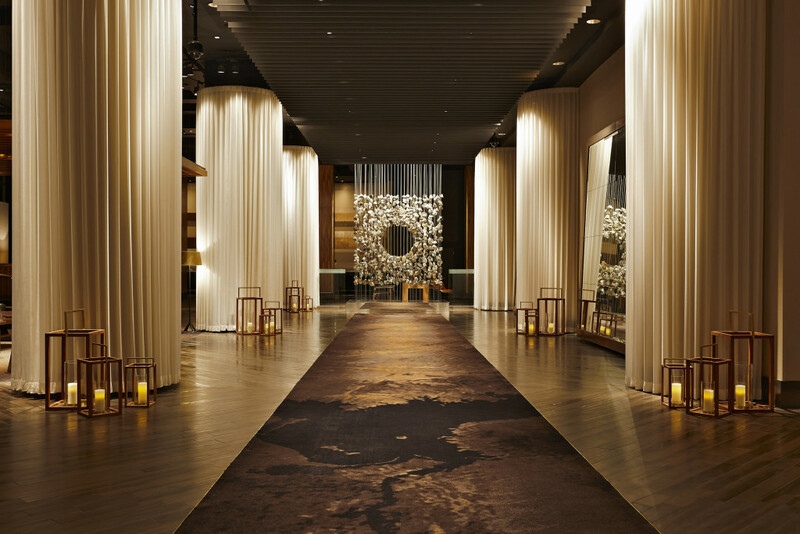 Mandarin Oriental is the definition of cool. This non-gaming hotel relies on one thing and one thing alone: luxury. There’s no casino or grand theatre, just exquisite rooms and the coolest bar you’ll ever step into – which is located on the 23rd bar of the hotel, overlooking the unforgettable Las Vegas Strip. The Mandarin Bar regularly offers live jazz music as guests relax in the lounge with a drink. The Mirage is one of the oldest Vegas casinos on the strip; however, it regularly receives upgrades to keep up with its larger competitors, ensuring it remains one of the best destinations along the Strip. Not only does it offer more casinos than you can shake a stick at, but many big name acts have appeared at the hotel casino, including The Beatles and Siegfried & Roy.